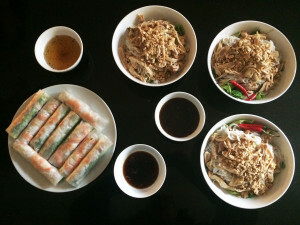 Vietnamese home-cooked dinner | eat me! Thanks to our wonderful cook Van, we enjoy some very nice, home made Vietnamese specials, like those fresh spring rolls and a noodle dish, which was not soup based (for a change). Need to check the name.